Simms Coldweather Pant provides warmth and protection for those crazy enough to fish sub freezing temps. 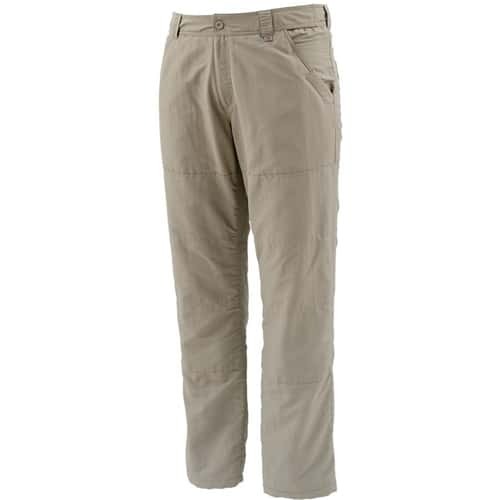 This cold weather pant features DurapelPlus durable water resistant finish, quick drying, wicking, anti odor, UPF50, slash hand warmer pockets with self fabric abrasion panels, adjustable waist with plastic center front snap to avoid corrosion isn saltwater areas and double layer articulated knees. Great for under wader layering when standing the cold water all day.